Some plastic bags require high transparency, usually 100% HDPE material is used to blow films. This makes the bags cost very high. To cut the cost down, some uses Calcium carbonate filler to replace some portion of HDPE. However, the transparency is effected much and the strength, glossness are not good. Transparent Masterbatch is developed to improve above situation. After adding some portion of Transparent Masterbatch TB-80, for example 10%, the film's transparency and strength still very good. 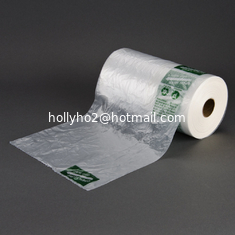 Since TB-80 price is lower than HDPE new material, so it saves bags cost.